Discover a new career path, find college construction programs, and learn about industry topics like sustainability in the CCE Program & Resource Guide. 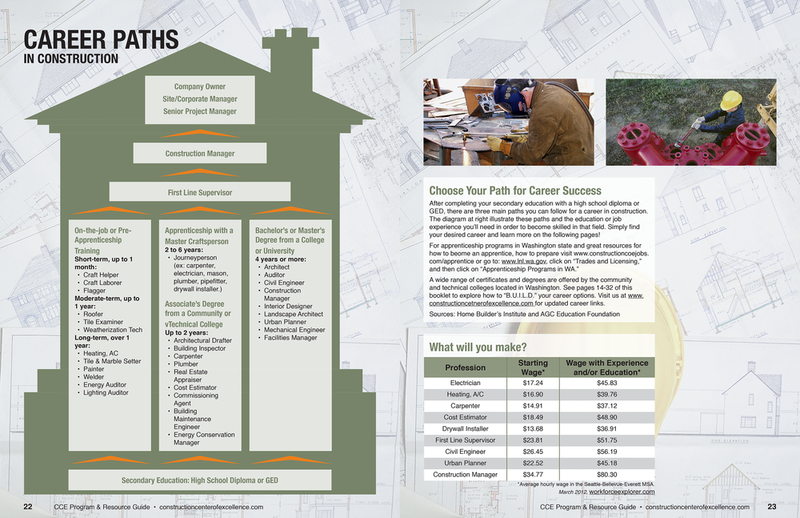 Discover a new career path, find construction programs throughout Washington, and learn about industry topics like sustainability in the Construction Center of Excellence Program & Resource Guide. 1. Download the FREE Aurasma App from the Apple App Store or on Google Play. 2. Launch the app on your device, search for the ‘Construction Center of Excellence’ Channel and follow it. Look for this icon throughout the guide to watch video content! 3. Look for the augmented reality logo (pictured at right) throughout the Program & Resource Guide. 4. With the Aurasma viewfinder active, hold your mobile device over the picture. Watch it come to life and enjoy!